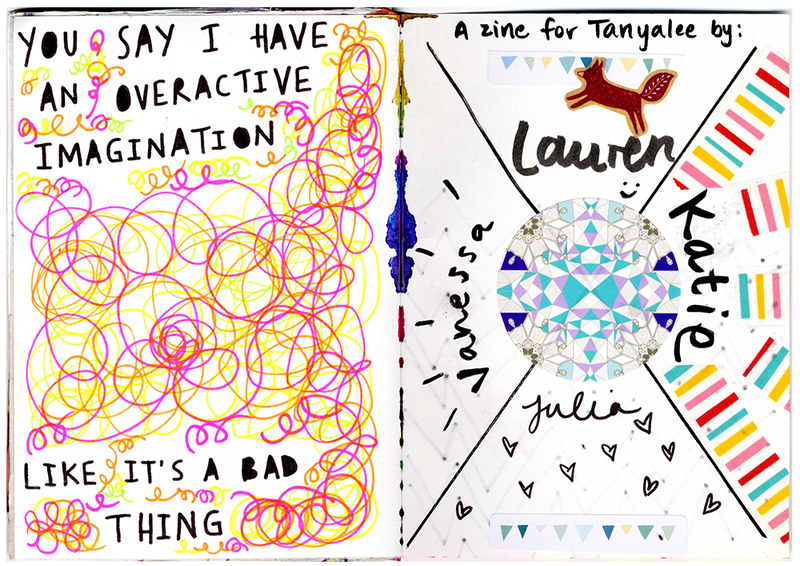 The Zine Squad decided to recruit Lauren and to make a zine for Tanyalee. 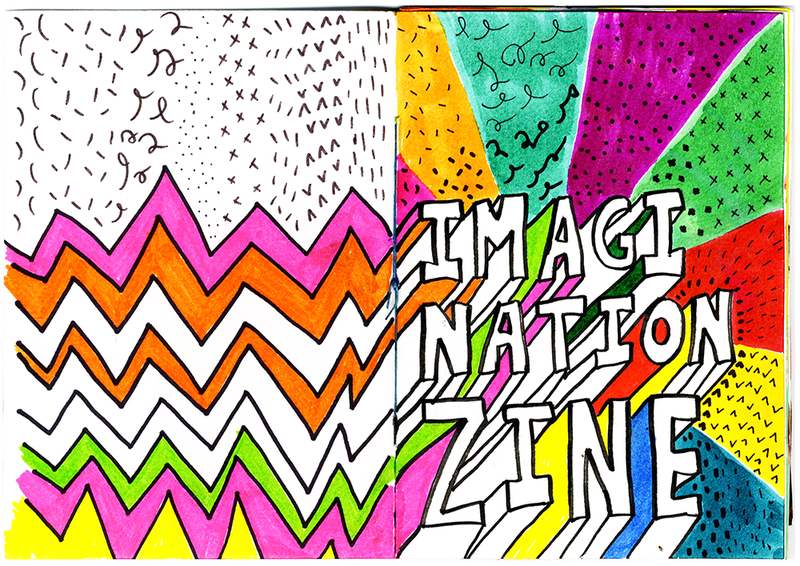 The theme had to be vibrant and colorful so we settled for the Imagination Zine! 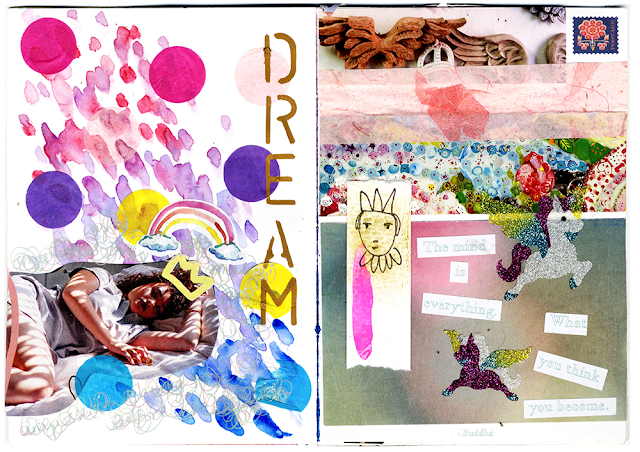 I made the front cover (below right) and some brilliant person called Julia added a bunch of squiggles and color to the back cover. Here is a great example about how our pages play off each other. My page is on the left and Katie‘s is on the right. Love the double ombré. A moon balloon? Yes sir! I was definitely getting lost in warm colors and there had to be some watercolors for Tlee! 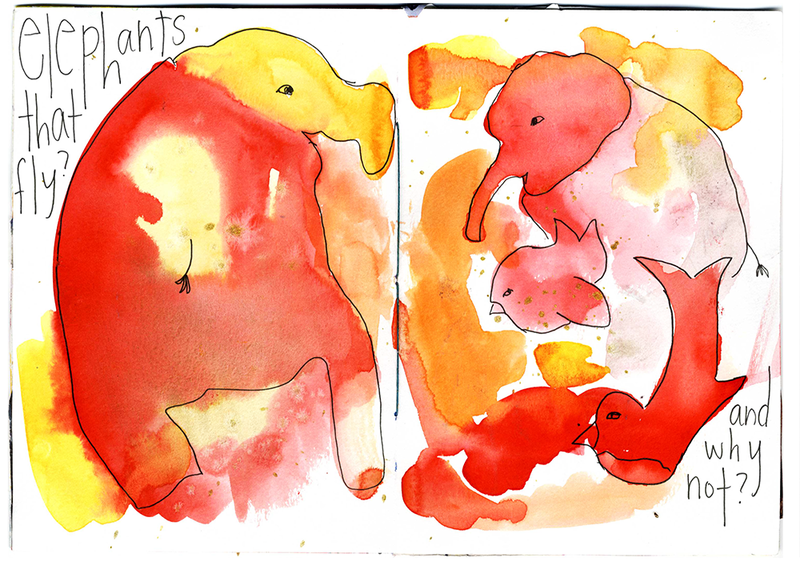 She is the queen of watercolors. 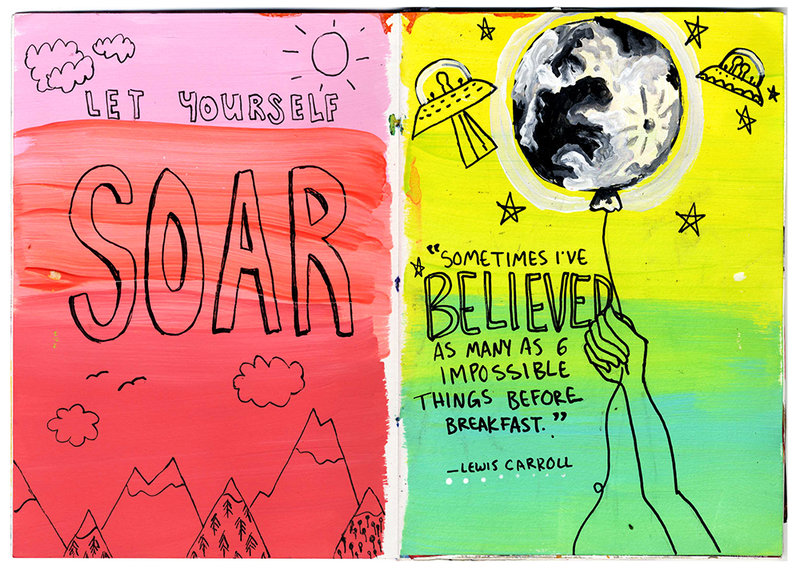 On the right, my page. On the left, Lauren’s (?) I really like to put in left over scrap pieces, the texture of those papers is always fun to explore. Also, this zine is one of my favorites!